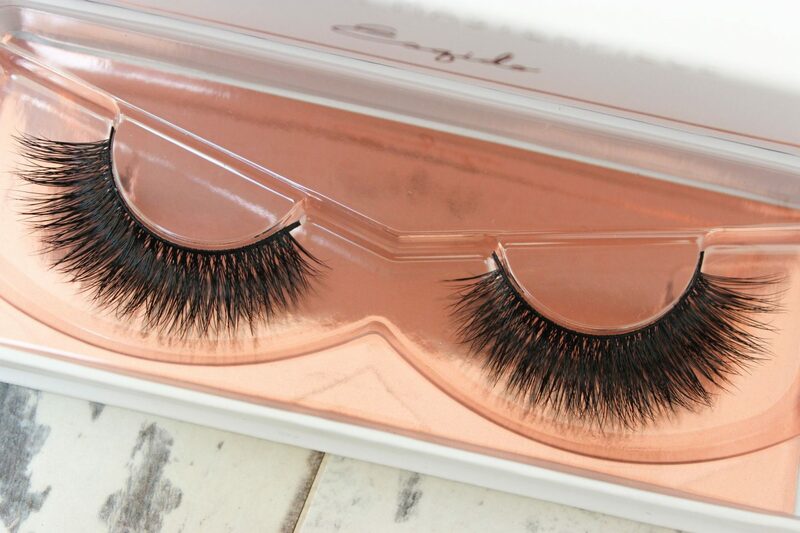 I cannot lie, when I received an email from Esqido Lashes, my heart jumped a little bit! 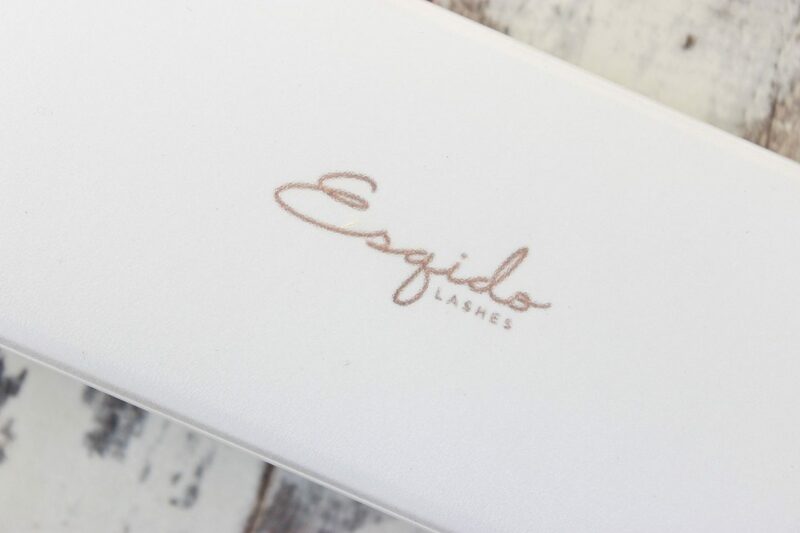 If you’re an OG Beauty YouTube viewer like I am you would have heard about Esqido lashes from many of your fave gurus. Esqido offer a range of stunning mink lashes for all eye shapes and all degrees of lash lovers from the novice to the everyday lash wearer. Now, I’m slowly improving my lash game, it’s still a struggle for me but I try and experiment so I was super happy when they reached out to me to ask if I wanted to review their lashes! After browsing their impressive and incredibly informative (it’s actually fantastic) website I opted for two different lashes. 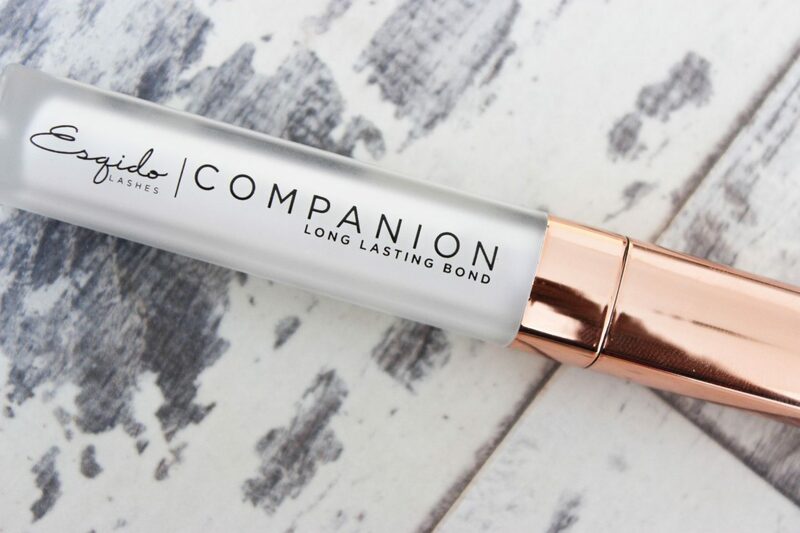 The first thing you notice when you receive your lashes is the packaging, I mean, look at it, white and rose gold – your everyday influencer’s dream! 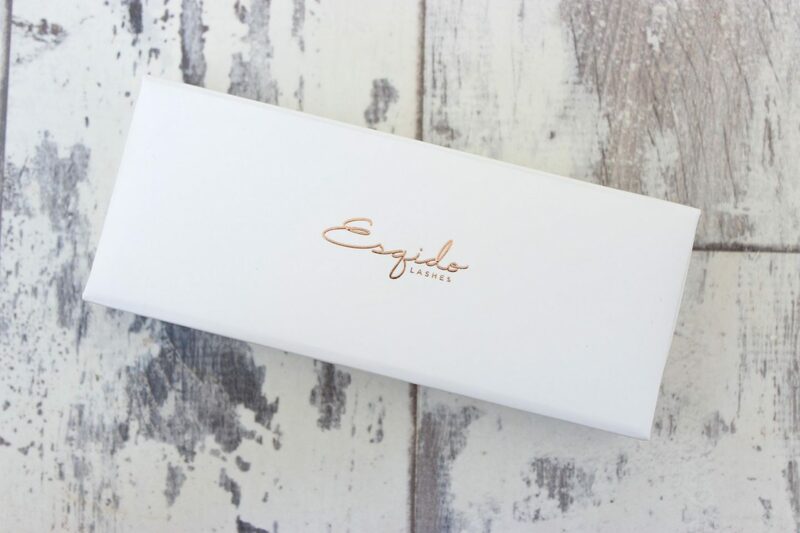 Each set of lashes are encased in a beautiful but sturdy box to help you preserve the life of your lashes as these are reusable and can be worn over long periods of time if cared for properly and the lash glue, well c’mon, in a lip gloss tube – perfect! The Starlet lash is the more natural of the two I chose and is described on the site as…”short yet voluminous…designed to provide enough volume at a shorter length to accentuate your eyes without looking too long…the ends are also winged out to give a beautiful “lifted” effect to your eyes…” for someone like me with quite small eyes these looked ideal and super flirty. The Voila Lash is one of their newest lashes and definitely one for those of us who like a bit of drama with our look. 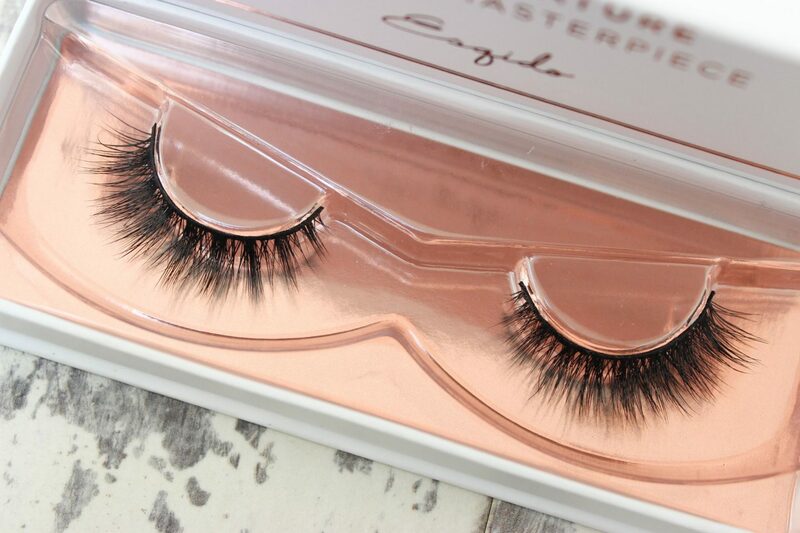 I gravitated towards these lashes as they reminded me of one of my favourite lashes on the high-street and there’s something about these slightly dramatic lashes that I love, I find the long lash strands look beautiful and work well with so many eye looks! I couldn’t wait tot try them on! When it came to applying the lashes, especially Starlet, I was surprised. Now, as I mentioned before, I’m slowly trying to improve my lash game, meaning I’m not that great at it, it only works when luck is in my favour and that’s not very often and it normally takes me 2/3 tries per each eye, so basically, my struggle is REAL, but with Starlet I managed to get each lash on with the FIRST TRY!!!! Do you know how mad that is?! It very rarely happens! As Starlet are shorter than normal lashes so I didn’t need to cut them at all which is great and the Companion Eyelash Glue was fast drying, meaning it got tacky quickly which also helped with lash application, literally the perfect fit. I didn’t even wear liner to blend the band in as the lashes looked natural enough on their own. 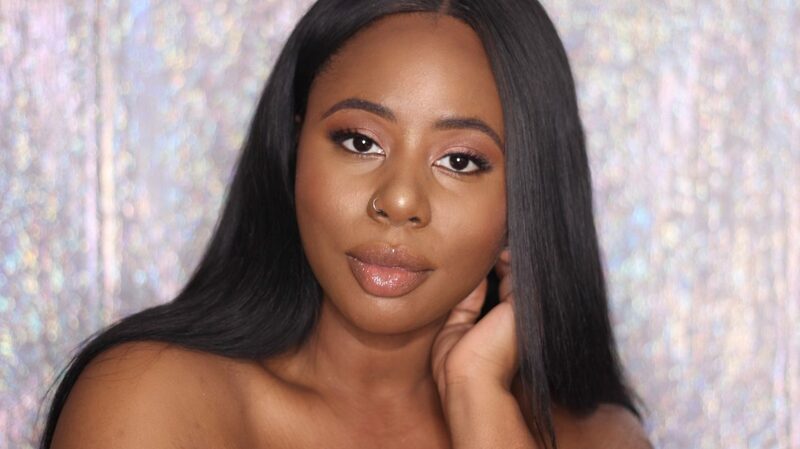 Once on, the Starlet lashes are so comfortable, you almost forget you have them on, I experienced no watery eyes or irritation which I sometimes get when wearing other lashes. The lashes themselves looked super flirty and are perfect for everyday or evening wear, I used them in my latest YouTube video HERE and I think they complimented the look so well! 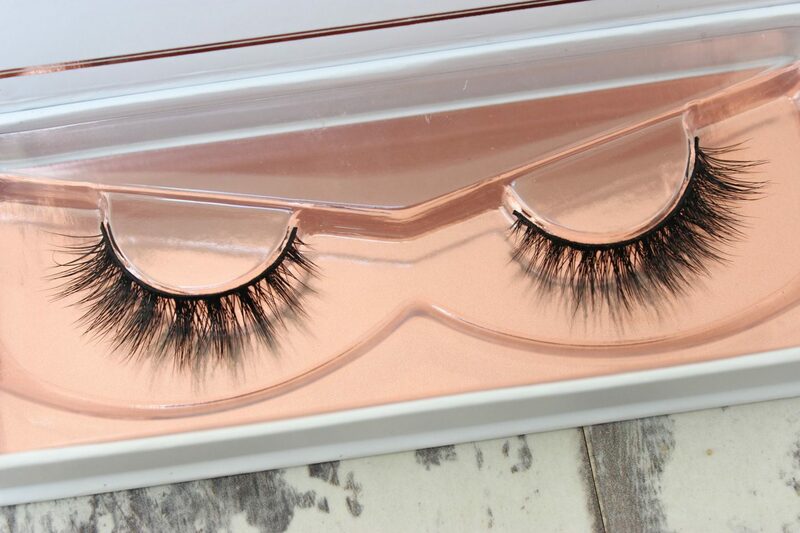 The Voila Lash lived up to every expectation I had of them, dramatic but not overpowering! These lashes seemed to be of a standard size (eye shape size) but I didn’t want to cut them as they are so beautiful and thankfully they seemed to fit pretty well! 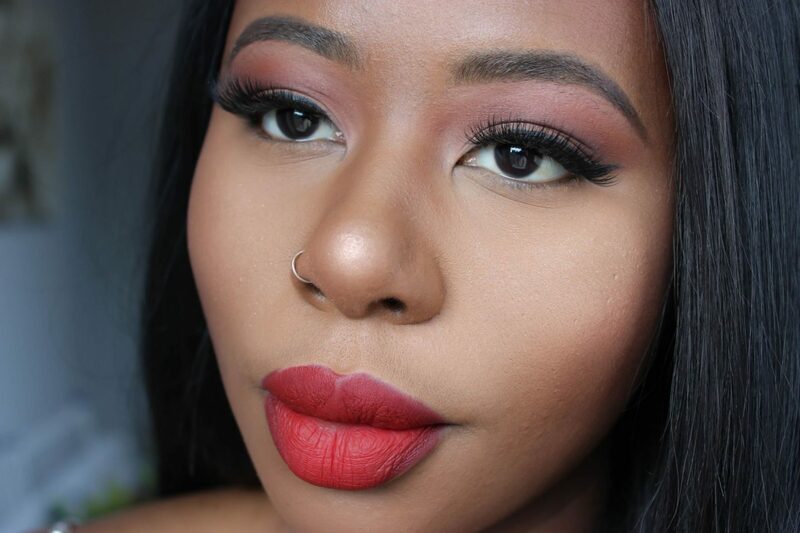 I do, however, think these lashes would work so well on big eyes to give a beautiful doll eye look and I saw that a number of people seemed to agree from review of the lash on their site. 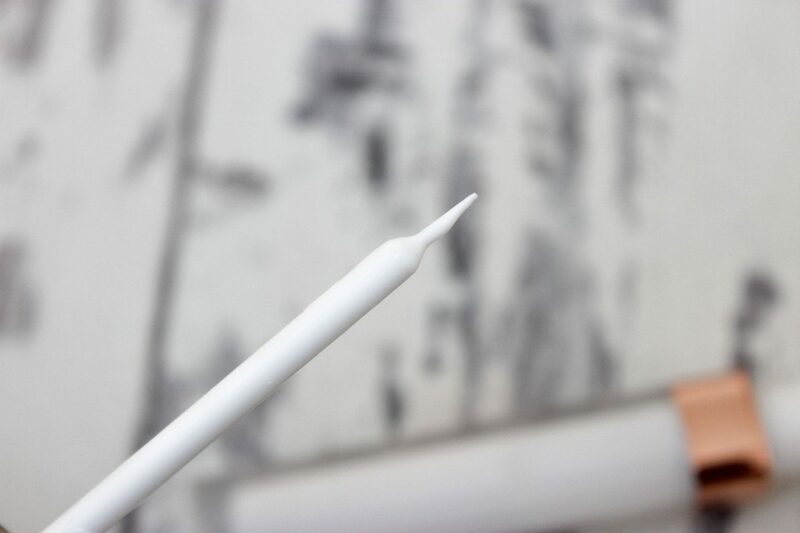 Personally, I found the lash length (length of the lash strands) to be perfect but I agree with the general suggestion that they should possibly make a smaller version of these lashes for those of us with slighter small eyes. Once again I had no issues applying these lashes, they went on without any fuss and when I removed them they still looked amazing! So in short, what do I think of these lashes and do I think they’re worth $29 each (roughly £22)? Well, Esqido essentially offer lash lovers the option of investing in false lashes so this is reflected in the price and the quality you get. Based on the fact that these lashes are hand made, reusable, packaged beautifully, light weight and unique to certain eye shapes, I think $29 is very reasonable. I never thought I would spend anything more than £5 on some lashes but Esqido seem to have swayed me! Will I be purchasing from them in the future? Err…YES. Any lash company that makes lashes that I fund easy to apply are always going to have my coins! 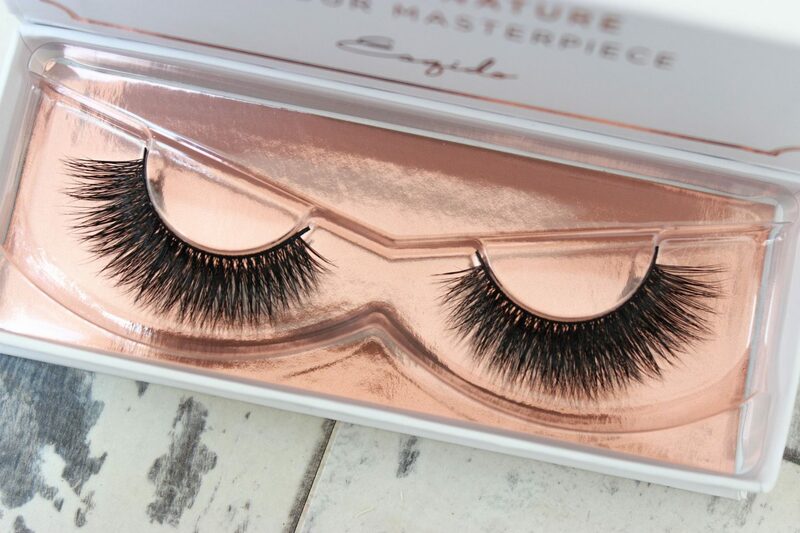 Esqido have opened me up to a whole new world of lash wearing and I’m for it!